Metronome chose Abask Marketing to create their initial sales materials as a result of a previous project we completed for the business owner’s previous organization. After the previous organization went through a successful sale, Abask Marketing was a natural fit for creating the new company’s materials. 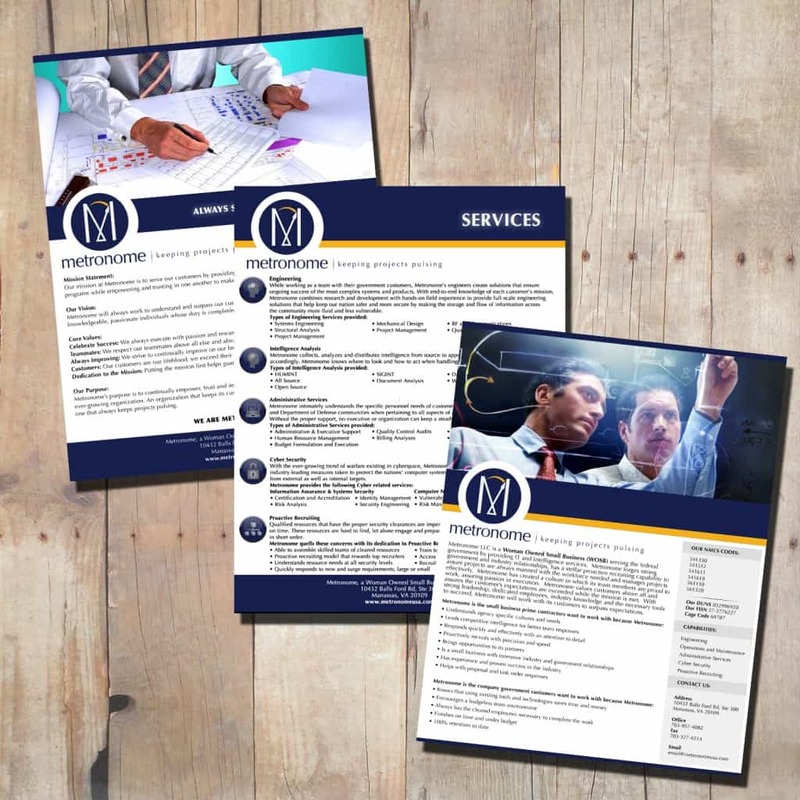 Abask created three sales slicks, several posters to boost office morale, and business cards for the organization. THE WORK: The brochure has a simple goal of motivating the right client to consider Metronome as their recruiter for tough to fill technology positions.